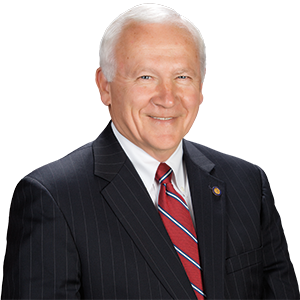 HARRISBURG – State Senator Gene Yaw (R-23) will be a featured guest on the Wednesday, February 13, 2019 radio program “On The Mark” with Program Director and Host Mark Lawrence. The program will air live beginning at 8:30AM on Newsradio 1070 WKOK. Sen. Yaw will discuss a number of important state-related issues and take calls from area listeners. Listeners can participate in the live program by calling 1-800-795-WKOK or by email at onthemark@wkok.com. You can live stream the discussion “On The Mark” by visiting http://wkok.com/on-the-mark/. WKOK is a commercial AM radio station licensed to serve the Susquehanna Valley. The station is owned by Sunbury Broadcasting Corporation.